I don’t know about you, but I am totally one of those people that freezes turkey leftovers from Thanksgiving and tries to figure out what to do with them later in the year. 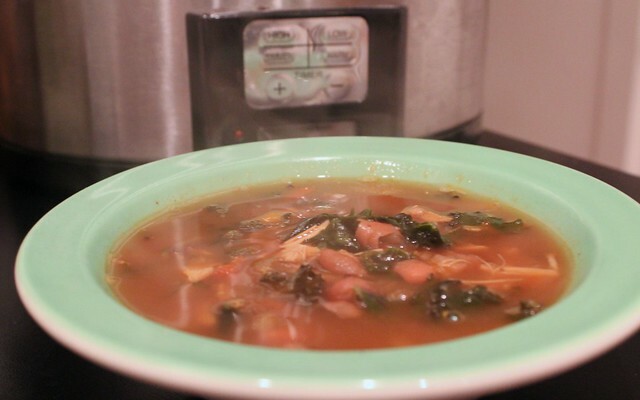 When it came to using up the rest of what I had, I couldn’t think of anything better than a slow cooker soup. 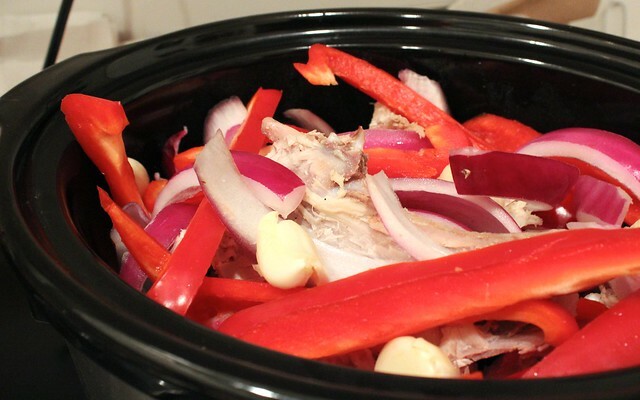 Here’s the truth: I am a bit addicted to my slow cooker. And I personally don’t think that’s an addiction that’s going to die down any time soon. Well, first, Happy New Year! Now that we’ve gotten that out of the way, I have a confession to make. Although I spent all of yesterday cooking healthy meals (roasted veggies, various salads, a few breakfast smoothies that I can’t wait to share with you all), I have a serious CRUSH on my slow cooker. But I have another admission: I actually haven’t used this handy little device lately! When I first got it, I was making soups and stews all the time. I even made a Latin-spiced apple butter that was, well, pretty much the best thing ever. For some reason, though, 2013 wasn’t my year of the slow cooker. 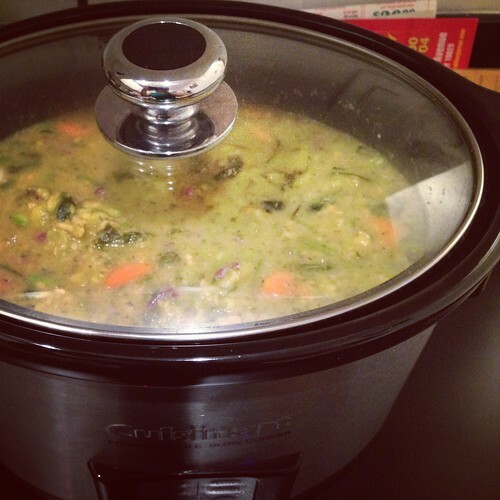 In fact, other than the slow cooker sofrito turkey broth, I just didn’t use it–and now that makes me kind of sad. Please tell me you’ve saved your turkey bones from Thanksgiving. Seriously. Please pretty please tell me you haven’t thrown them away yet.